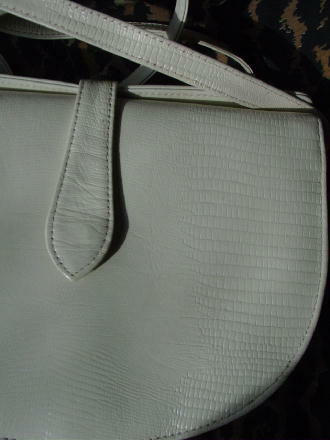 This vintage embossed reptile pattern leather purse is in a bone color. 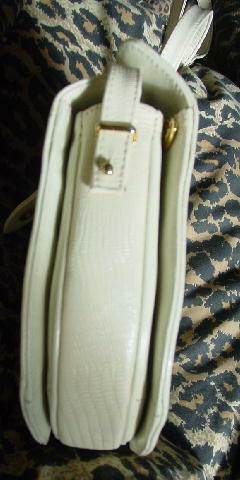 It has a full thick brushed cotton offwhite lining. 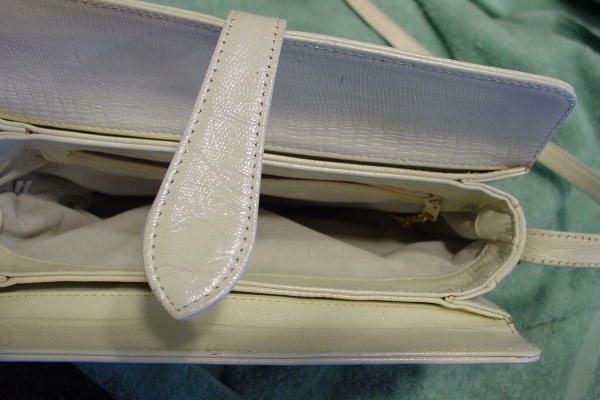 The interior has a large lined zippered pocket with a gold-tone link chain and logo Brio triangle in the larger center section, and there is also an interior narrower back and front section. There is a small black ink line mark on the inside of the lid. 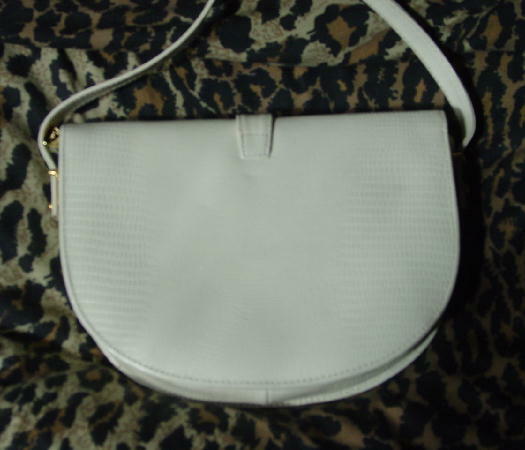 It's in a wide U shape and has a foldover top with a long closure strap with a magnetic closure. 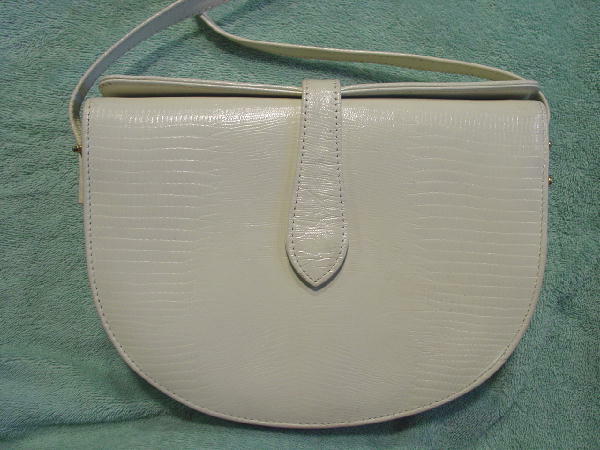 It has a 51" long by 5/8" wide shoulder strap with a gold-tone buckle, prong, and side strap holders. 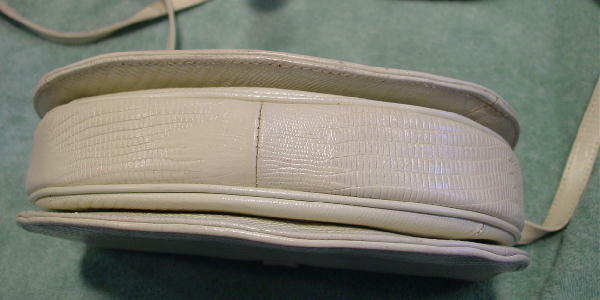 There is a small ink mark on the interior of the upper flap.